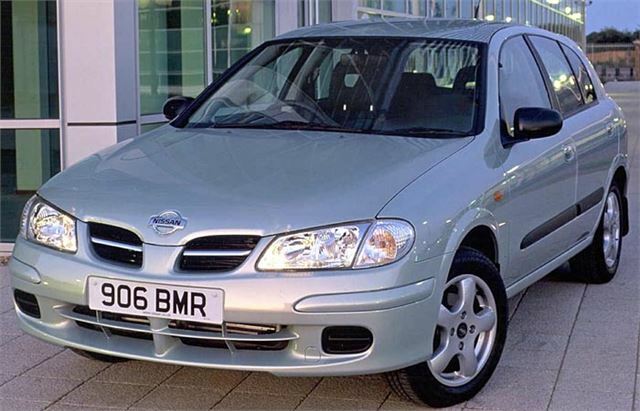 For 2003, Nissan has made a lot of detail improvements to its handsome Almera hatchbacks. And, since the launch was 300 miles away near the Sunderland factory, thinking of killing two spuggies with one clem, I borrowed an Almera Tino MPV to get me there and back. First, the 2003 Almeras. At a glance they look similar to the 2002s. But take a second look and you notice that some of the aggression has been taken out of the front by substituting the toothy underbumper grille with mesh, which, of course, also helps keep stones out of the radiator. The lights are now clear rather than obscured polycarbonate. The wheels are bigger. And that’s about it until you get inside. 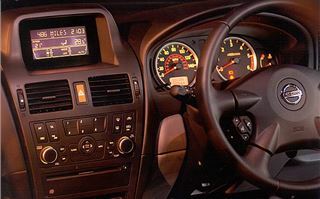 There, the old fashioned dashboard has been ripped right out and replaced by something much more modern with a useful eye-level display at the top so you don’t bump into something while you’re adjusting the aircon. Yes, aircon. All 2003 Almeras have it as standard. 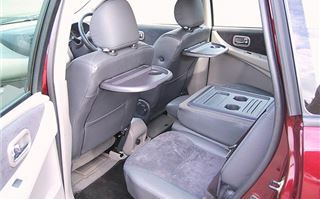 Plus remote central locking, front electric windows, CD player, outside temperature gauge, five three-point seatbelts, driver and passenger airbags, height adjustable steering wheel. Cabin light dimmer, pollen filter and a luggage compartment net. Not bad for a starter price of £9,995 for the 98PS 1.5, which also offers low 158g/km CO2 emissions for lower VED and company car tax. It’s a bit bland, though. Drives and handles okay with no surprises either nasty or pleasant. The 1.8 has more punch and more feel to it, as it should with 116PS. And the 2.2 litre110PS diesel goes quite well but, loses it a bit in the handling department. By which I mean, as soon as you crack on a bit, the front end suffers from weight transfer and becomes strangely lurchy. This is not a big problem, but by the same token it doesn’t qualify the Almera for the same class in the handling stakes as a Focus, Leon or new Corolla. 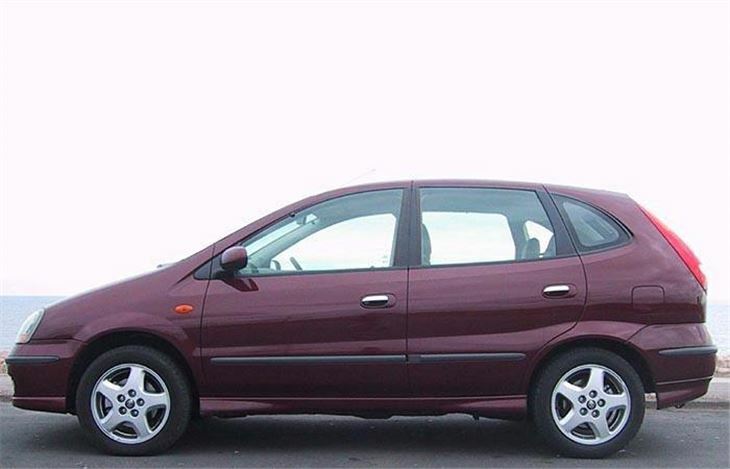 As the Picasso is to the Xsara the Tino is to the Almera. It actually looks like a mouse the size of an elephant. 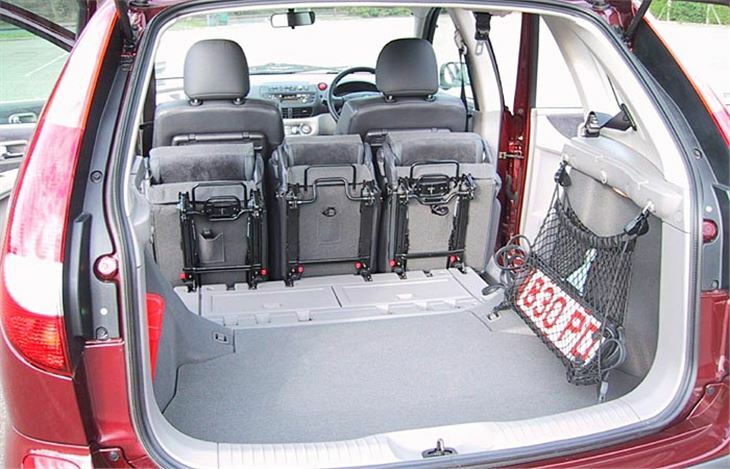 Though the rear seats slide, tip and remove completely, it isn’t the most practical MPV. 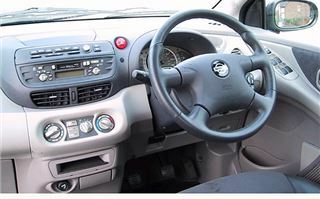 But, whereas the Almera is only an average handler compared with other hatchbacks, the Tino is one of the best handling small MPVs. And on top of that it can be bought with the usefully grunty 110PS direct-injected chain-cam diesel engine, which is basically the same lump as found under the bonnet of the excellent X-Trail diesel. Thus equipped, the Tino romps along at 30mph per 1,000 rpm in top, easily cruising at an indicated 90mph and at the same time turning in over 45mpg. Well, that’s what I got, anyway. About 5mpg behind a Picasso diesel, but shifting from A to B just a little bit quicker. If you offer your Nissan dealer loads of extra money (£1,500, actually), he’ll ask the Barcelona factory to fit Nissan’s brilliant Birdview navigation system. Now some of these gizmos are a bit controversial because they’re hard to set and difficult to receive instructions from without taking your eyes from the road. 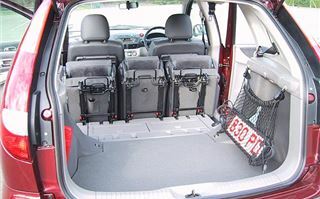 Not so in the Tino where it unfolds from a dash-top compartment and gives you two very clear views of where you’re going and where to turn. If you do a lot of mileage and need to find a lot of strange places then this is definitely an option to go for, even though £1,500 buys a lot of maps. 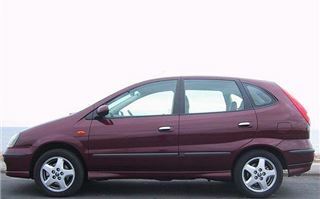 The truth is, I liked the Tino a lot more than I liked the Almera. But if anyone asked me what I thought of the Almera, and then, before I could reply, slipped in the aside that they’d just bought one, I wouldn’t tell them what I told the woman whose French husband had landed them with a Megane. 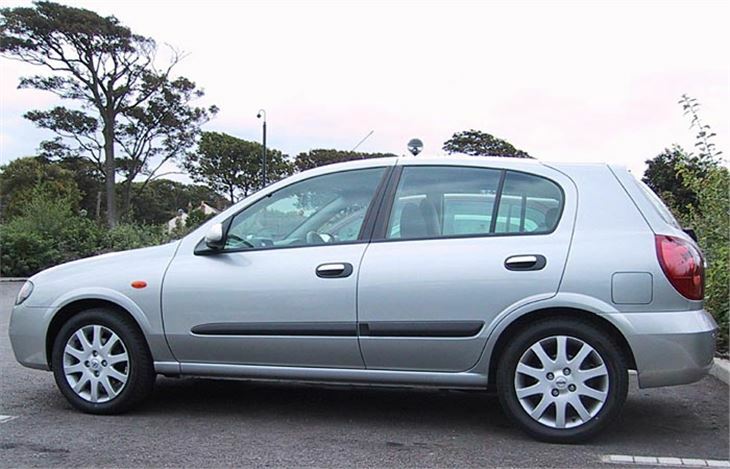 Put it this way, there isn’t much you can buy for the same list price that’s significantly better than an Almera. And it is an almost spectacularly good-looking mid-size hatchback.